Spacious 3 bedroom/2 bathroom home located in the quiet and cozy neighborhood of Silver Lakes-Coconut Cove. 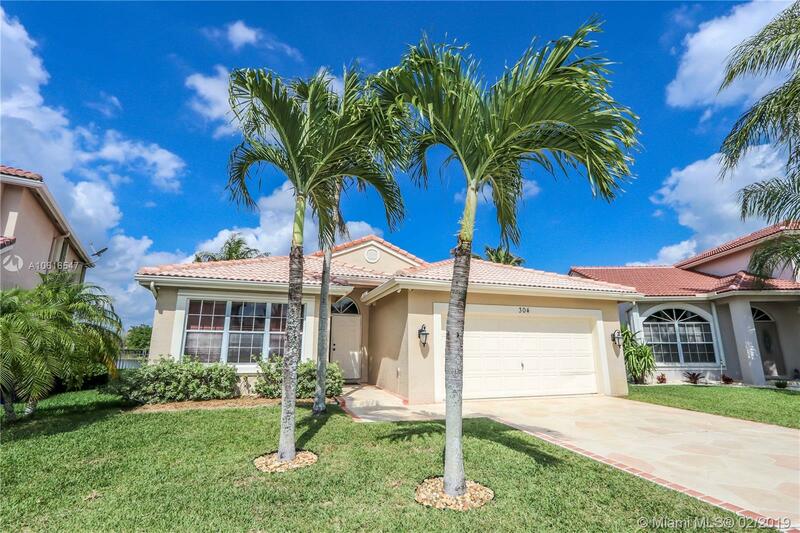 The home has large tile floors throughout living areas, laminate wood bedrooms, custom made closets, updated bathrooms and hurricane shutters. Kitchen has been remodeled with granite counter tops and stainless steel appliances only 2 years old. Backyard has a screened porch and an additional tiled patio area with a spectacular lake view. Homeowners association includes community pool in Coconut Cove and club house pool in Silver Lakes. Home is centrally located near shopping centers, restaurants and the i-75. Directions: Take Ronald Reagan Turnpike To Miramar. Take Exit 7 From I-75 N. Continue On Miramar Pkwy. Take SW 178th Ave To SW 3rd St In Pembroke Pines.